We are also one of the few companies using a 1.27m (50inch) tall fountain. Our chocolate fountains certainly create the WOW factor reaching almost 2.1metres tall when set up on a standard dining table. We only use the finest Belgian Chocolate fresh for your event. We never recycle our chocolate nor do we ever add oil to the chocolate unlike some of our competitors. We offer an illuminated base and surround for all of our bookings to increase the visual effect. Strawberries, Pineapple, Grapes, Banana, Melon, Profiteroles, Mini Donuts, Marshmallows (regular & Halal), Fudge, Brownies, Turkish Delight. If you have any special requests, we would be happy to supply them for you at no extra cost. 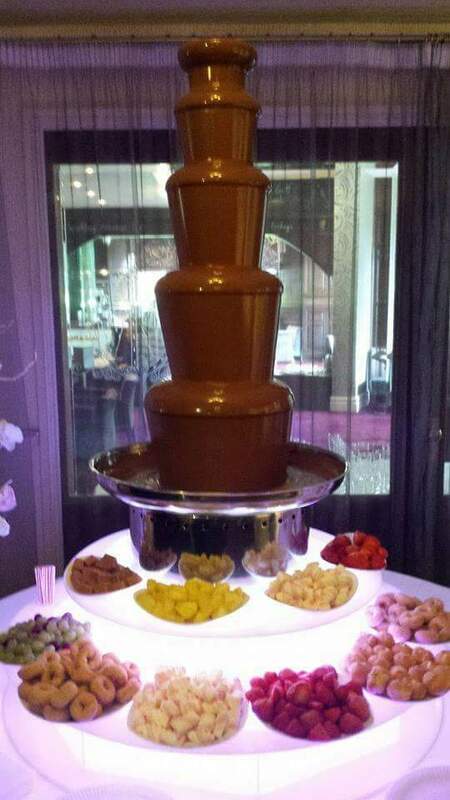 Chocolicious Chocolate Fountains are the preferred supplier to a number of West Midlands hotels, conference centres and banqueting halls. 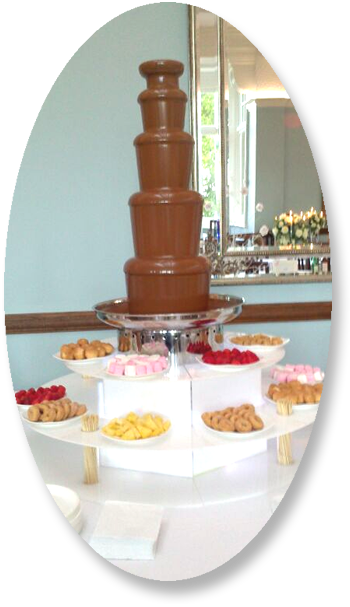 A new and exciting event service, sweetie buffets and desert tables from the owners of Chocolicious Chocolate Fountains. Recently introduced to the U.K, candy buffets have been gaining popularity in the States for a while,people who are having them in the UK are tending to do them themselves, buying some jars and sweets and setting up a table at the reception or venue. Nothing wrong with that at all, but if you are wanting to create an outstanding impression, are already busy with organising your special event, why not leave it to us to WOW your guests with one of our themed tables?